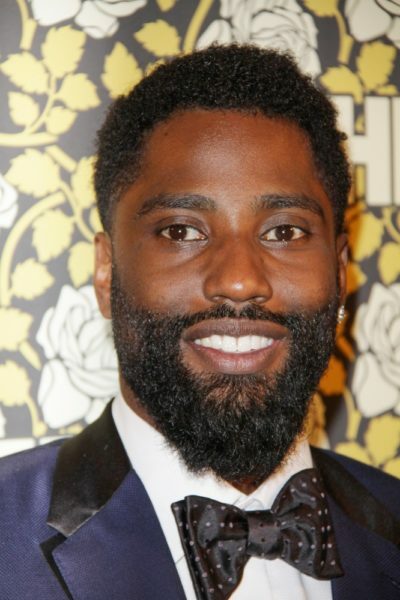 John David Washington is an American actor and football running back. He stars in the film BlacKkKlansman (2018). He is the son of actress and singer Pauletta Pearson Washington (born Pauletta Rachelle Pearson) and actor, filmmaker, director, and producer Denzel Washington. His full first name is John David. His parents are both black, his father from New York and his mother from North Carolina. His aunt is actress Rita Pearson. John David’s paternal grandfather is The Rev. Denzel H. Washington (the son of William Washington and Virginia Page). The Rev. Denzel was born in Virginia, and is a Pentecostal preacher. William was the son of William Washington, Sr. and Margaret Johnson. John David’s great-grandmother Virginia was the daughter of Herod “Harry” Page and Lucia “Louise”/”Louesa” Rain/Rayn. John David’s paternal grandmother is Lennis Lowe (the daughter of Tillman/Tilman Lowe/Low and Eliza Jackson). Lennis was born in Georgia. Eliza was the daughter of William Jackson and Rachel. John David’s maternal grandfather was Phairlever Pearson (the son of Frank Pearson and Laura Barrier). Phairlever was born in Opa Locka, Florida. John David’s maternal grandmother was Arletta DuBois Smallwood (the daughter of John R. Smallwood and Kate/Katie Hairston). Arletta was born in Leaksville, North Carolina. John David’s great-grandfather John was the son of John W. Smallwood and Mary Galloway.